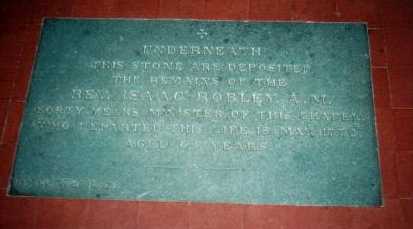 Isaac Robley was born at Woodhouse, Wreay on March 17th 1708. He was the third son of John Robley and Ann Dixon, a prosperous couple who were to rebuild Woodhouse in 1730. Isaac was the nephew of William Robley, a former curate of Cumwhitton. In 1727 Isaac Robley entered Queen's College Oxford, where he matriculated 8th June 1727, aged 19. 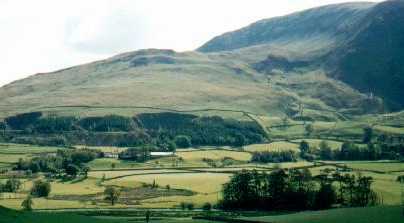 This was the College preferred by aspiring clergyman from the Diocese of Carlisle, as it had strong connections with Cumberland and Westmorland. Isaac graduated B.A. in 1731. On 22nd of May, 1732 Isaac was licensed as Curate and Schoolmaster at St. John's in the Vale, Crosthwaite and he remained there until his death. 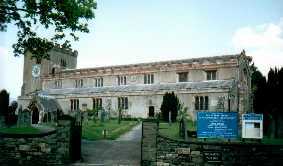 St. John's was one of the five Chapels in the Crosthwaite Parish. 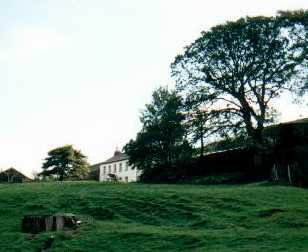 The Chapelry was originally within the nomination of the Vicar of Crosthwaite. Dr. Gaskarth of nearby Hilltop in the Vale of St. John had, however, purchased the ability to nominate, alternately with the parishioners. Two views of Hilltop Farm. On 8th July 1732 Isaac married John Gaskarth's daughter Mary. Isaac and Mary had a family of six children: John in 1733, William in 1734, Isaac in 1736, Ann in 1738, Mary in 1739 and Joseph in 1742. More about these children and their descendants, will be added later. Only a brief account of two of the best known will be given here. He was, therefore the great-grandson of the Revd. Isaac Robley. Robley had his early education at Brisco Hill, and at the Green Row Academy in Cumberland. On leaving school he went on to the Royal College of Surgeons, and then attended lectures in Edinburgh and Paris. He obtained the M.D. from Erlangen in 1823. Just before he took up an appointment as Professor of Medicine at the University of Virginia, he married Harriet, daughter of Dr. John Leadam of London. The wedding took place on 5th October, 1824 at Saint Olave, Southwark, London and they left for America on 27th October 1824. They had five sons and two daughters, and two of their sons followed Robley into the medical profession. The best known is Dr. Richard J Dunglison. Robley Dunglison remained at the University of Virginia from 1825 to 1833. Subsequently, he held professorships at the University of Maryland (1833-1836), and Jefferson Medical College of Philadelphia (1836-1868). There is an excellent account of his writings, appearance and character in H. Lonsdale's book, The Worthies of Cumberland (London: George Routledge, 1875). He died on 1st April, 1869 and was buried at Laurel Hill Cemetery, Philadelphia. He was, therefore, the great great grandson of Rev, Isaac Robley. Horatio Gordon was an artist, but also a professional soldier. He served in Burma, 1859-63, the Maori War, 1864-66, in Zululand, 1884 and Ceylon, 1886-87 and attained the rank of Major-General. During his time in New Zealand he met Herete Mauao, and they had a son whom they named Hamiora Tu Ropere. There are three descendants of Horatio Gordon Robley and Herete Mauao living in New Zealand at the present time. Their names are Googs Tapsell, Huna Broughton and Harete Teki. Horatio Gordon's most successful book is called Moko; or, Maori Tattooing (London: Chapman & Hall, 1896). As well as demonstrating and explaining the art of Maori tattooing, he also wrote chapters on Mokomakai which is the name given to a dried head. The Maori people cured and embalmed the heads of members of their families, and the chiefs of their tribes in order to keep them alive in their memory. Horatio explained that they fulfilled the same kind of role with the Maori that Europeans give to statues and pictures. Families kept their relics in boxes, or baskets scented with oil. In 1908 Horatio Gordon attempted to sell his own collection of preserved and tattoed Maori heads, to the New Zealand Government, for one thousand pounds. When the offer was refused, they were purchased by the Natural History Museum, New York. In 1998 successful attempts were made, by his descendants to have these heads returned to New Zealand. He died in London on 29 October, 1930. Isaac spent his whole working life at St. John's in-the-Vale. It is difficult for present-day visitors to imagine from where he got his congregation. The road up to the Chapel is only wide enough for one car, with no passing places. 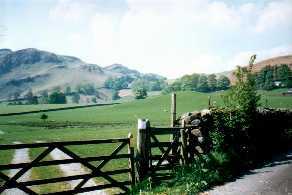 "However, the road which passes the church was once an important route, part of a track which leads from Matterdale over to Warthwaite, and passing the church, continues on into the Naddle Valley. Thus the church was conveniently placed for people on both sides of the fell." (The Parishes of St. Johns-in-the-Vale and Wythburn: Notes of Interest to Visitors). "We went to Keswick and found this lovely church, St. Kentigerns, open every day of the year. With many thanks to John Robley (Western Australia), Alma Rasheed (Cumbria, UK) and Mag Youngman (New Zealand) who helped with the research for this article.